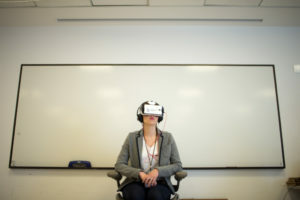 The International Symposium on Online Journalism is an annual gathering of editors, producers, executives and academics from around the world who convene at the University of Texas at Austin to discuss the evolution of online journalism. ISOJ started in 1999 as a small, but very intense one-day conference. It has grown throughout the years to become a unique international conference that serves as a barometer for the state of online journalism globally. 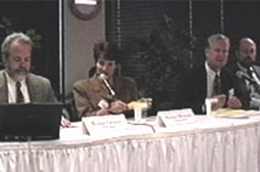 While initially a national conference focused on the United States, the Symposium became international in 2003. Since then, ISOJ has had participants from Africa, Asia, Oceania, Europe and Latin America. In 2004, a second day was added and we went from an exclusively industry-oriented event, to an academic/research conference, as well. Professors from several prestigious universities started helping us in the blind review process for the selection of research papers that are submitted by graduate students and faculty from around the world and presented at the symposium. In 2011, we created the #ISOJ — The Official Journal of the International Symposium on Online Journalism. #ISOJ has been an innovative publication in many aspects. Since its first issue, the journal has been available in print during ISOJ, eliminating the usual gap between conference presentation and publication of the research. And it has also been available online. 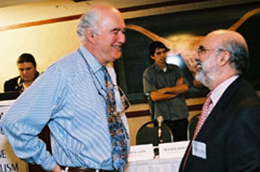 On this new site, you will find transcripts, video, photos, news stories and more from all the symposia, since 1999. It is a unique and invaluable repository of important testimonials of professionals and academics who have been involved in the challenges of adapting journalism to the new media ecosystem that has emerged since the popularization of the web, just a few years before the first ISOJ. We invite you to explore our rich repository documenting the evolution of online journalism, and to come to Austin to attend our symposium. 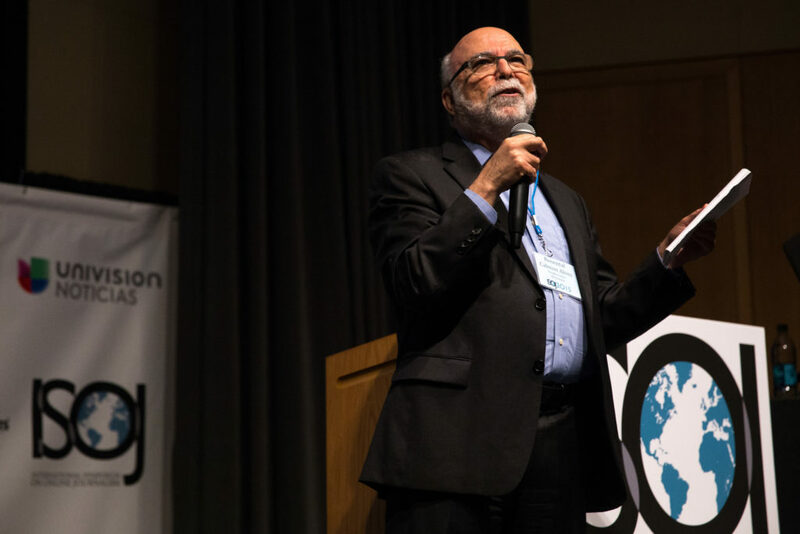 ISOJ was created and is still organized by Professor Rosental Calmon Alves, Knight Chair in International Journalism and UNESCO Chair in Communication at the University of Texas at Austin’s School of Journalism at the Moody College of Communication. Since 2003, ISOJ has been part of the program of the Knight Center for Journalism in the Americas, also founded by Professor Alves. We are grateful for the support we have received from the John S. Knight Foundation and other generous sponsors who have helped to finance this conference. We are also grateful for support from UT Austin, the Moody College and its School of Journalism.